(Dcn Joseph Suaiden) According to the LiveJournal of Metropolitan Agafangel of New York and Eastern America, it appears that Patriarch Irineos of Jerusalem, removed by the Synod of the Ecumenical Patriarchate, replaced by the current Patriarch Theophilus (and effectively under house arrest for the past three years), has entered into communion with the ROCOR-A. 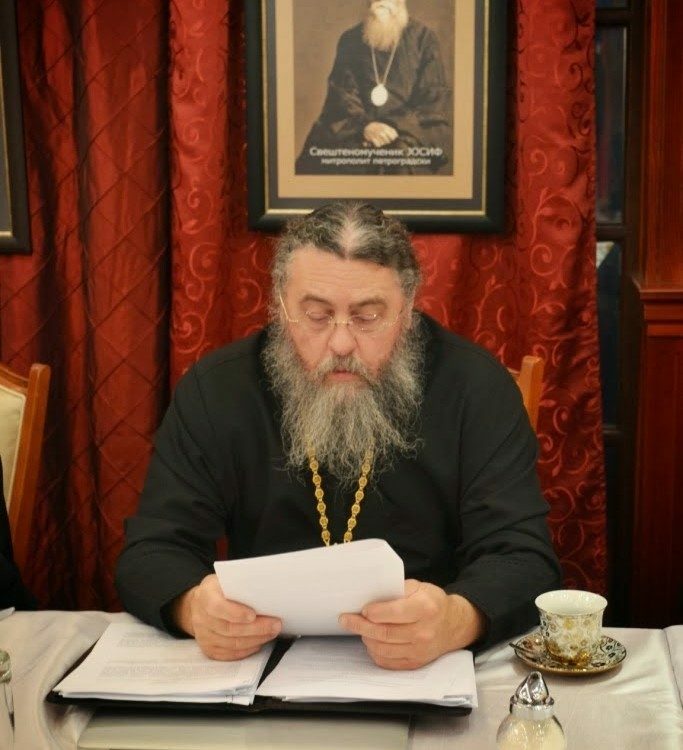 However, about 70 comments and discussions later on the site above, there does not appear to be any open clarification as to why this has occurred; it is not abundantly clear that Patriarch Irineos has in fact rejected the ecumenism of official Orthodoxy. (Metropolitan Agafangel argues in the comments section that the Patriarch’s positions are quiet, but completely in line with the positions of the ROCOR-A.) It can only be surmised that, as ROCOR had traditionally been in communion with the Patriarch of Jerusalem, that they ceased to recognize the validity of the Patriarch’s deposition. I’ve been trying to make sense of this news for a couple of days to write a clear analysis, but I am still somewhat baffled by it. In any case, this recognition does create an interesting situation in the Holy Land, where the parishes of ROCOR generally until the last decade or so recognized the Patriarch of Jerusalem, largely because all of the ROCOR Churches were in Jerusalem’s territory; however, the question of precisely how much Patriarch Irineos will be able to actually administer is a serious one. According to the Associated Press, the last interview with Patriarch Irineos was conducted through a microphone slipped into his groceries. . There also seems to be in these discussions the hint of creating new Bishops for Patriarch Irineos, which would therefore lead to a parallel hierarchy in the Holy Land. Further, Patriarch Irineos seems to indicate that once he is freed, he will establish a monastery for ROCOR clerics who refuse communion with Patriarch Theophilus. Is ROCOR-Agathangel still in communion with Patriarch Irineos? 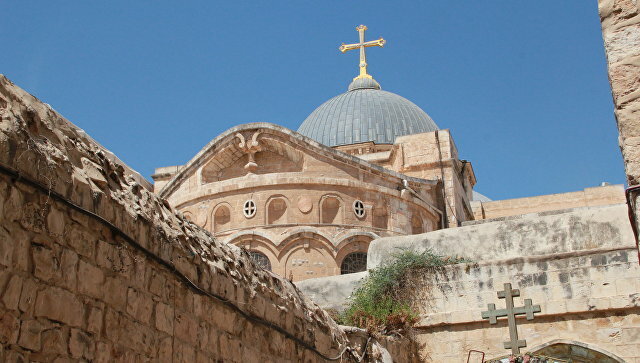 Patriarch Ireneios does not recognize or commune with World Orthodoxy. He himself has said that the ROCOR that went into communion with the MP fell away from the Church, and he recognizes ROCA as the legitimate continuation of ROCOR. Do you mean you have yourself spoken to Pat. Ireneios? If so, it would actually be real helpful to a lot of people wondering, if this could ever be put in writing by him in a letter or statement. No no sorry, Metropolitan Agathangel has met with him a couple times and I spoke directly with Metropolitan Agathangel. The full picture is still unclear… Someone who talked to someone who talked etc. I was written, and I have material proof of this, that Metropolitan Agafangel would tell the Palestinian priest to stop commemorating Ireneios. Oh really? So Metropolitan Agathangel plans to eventually end his union with Irenaios? There was an Haaretz article I read not long ago that Pat. Irenaios was indeed wrongly accused of selling church lands; in fact, the Jewish businessmen had originally connived and tricked Pat. Diodoros in 2000 into signing a document under false pretense the began the land sales (Pat. Diodoros at this time was in failing health, etc). Two of the Israeli businessman have been convicted after 2012 finding from an Israeli court on this specific matter; even the Palestinian Authority cleared Pat. Irenaios of the land scheme charges; however, all have basically recognized the fait accompli of Theophilos III. Strangely, it was an alliance of the Israeli right wing (who were the recipients of the land), as well as the Phanar and other Greeks that drove out Irenaios; it seems strange that right-wing Israeli would get rid of the guy whom they liked for selling the land. There is more going on in the case then we have been told; especially as you dig deeper. If this holds water, it could be one of the largest moves forward.